ABV Recipes - Things To Know When Cooking with ABV - Roll A Joint! http://www.whatsyourvapetemp.com/ – What’s good Vapetempers?! Ciao, ciao! 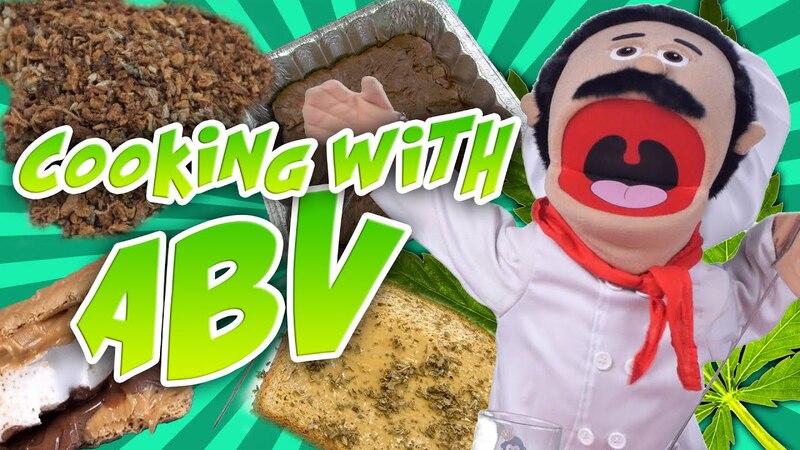 In this video, Chef Luigi will give you a personal cooking lesson when cooking with ABV. This is ABV Cooking 101 everybody. You should be saving all of your already been vaped marijuana for some easily and delicious recipes. ABV is the byproduct of vaporizing your marijuana. Vaporizers are one of the efficient ways to conserve your herb. Now when you vaporize your herb, there’s a bunch of different factors when determining the potency of your ABV. If you have a short session at lower temperatures, you will be conserving a lot of marijuana’s psychoactive chemicals and sedative ingredients. If you heat your ABV with very high temperatures for long periods of time, it will be much less potent. Take a look at the differences. First, you see an unvaped weed. Next, we have ABV that was lightly vaped an at ideal temperatures. And lastly, an ABV that was used at a very hot temperature and will be much less potent. ABV recipes are perfect for a late night snack to help you sleep or when you want to Netflix and chill. With ABV, you don’t actually need to cook the marijuana, when you use it in a vaporizer, you are already activating the ingredients in the weed. So ABV works best with recipes that are quick, easy and don’t need to heat anything. Since everyone’s tolerance is different and everyone’s ABV will be different, we recommend that you experiment with some dosage and peanut butter toast. Once you get your dosages right then you can get your exact measurement needed for your favorite recipe. Thanks for watching everybody! For more ABV recipes, be sure to subscribe to our channel. You can visit our site http://www.whatsyourvapetemp.com to learn more about the proper vape temps, cannabinoids and vaporization.